Warhammer 40K Thousand Sons 20: Who knew? I never thought I would have made it to 20 posts let alone 20 on just my Thousand Sons. Thank you for the encouragement all who read and comment on the blog. 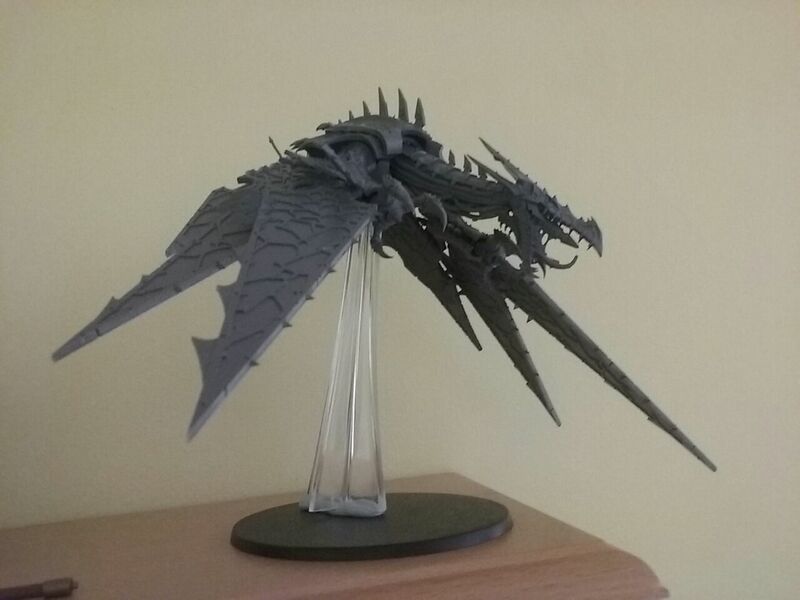 First is my very own Heldrake, called Squawks. He is my first flier actually so I built the model in a fairly stock configuration, basically I just rotated the legs as I thought they looked better that way. Now to paint this guy I have a trail go at a new toy. 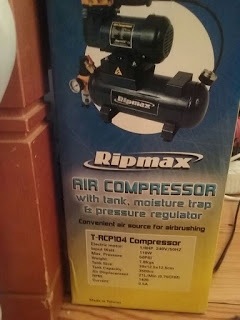 My very own airbrush and compressor, needless to say I will be doing a lot of reading up on this before getting to to work with it. Waiting in the wings I have models from trades, donations from people out of the 40K game and from just plain lovely people. Daemons, Predators, Rhinos and more are all to come! 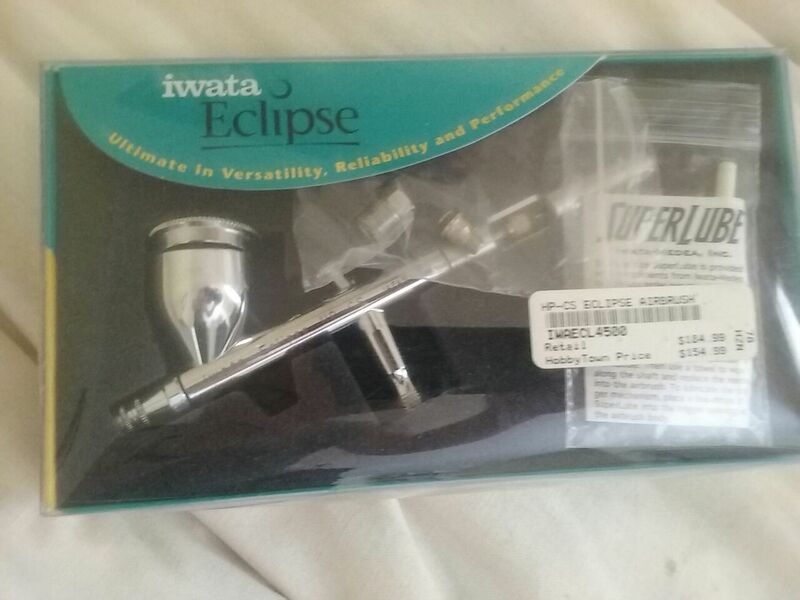 Remember Tzeentch has all the black mail material!